NOTE: The Slash ( / ) in this listing is an add-on option. This is due to feedback directly from 5th Gen owners who say they want the option not to have the slash. So, if you don't want it, you won't have to pay for it. 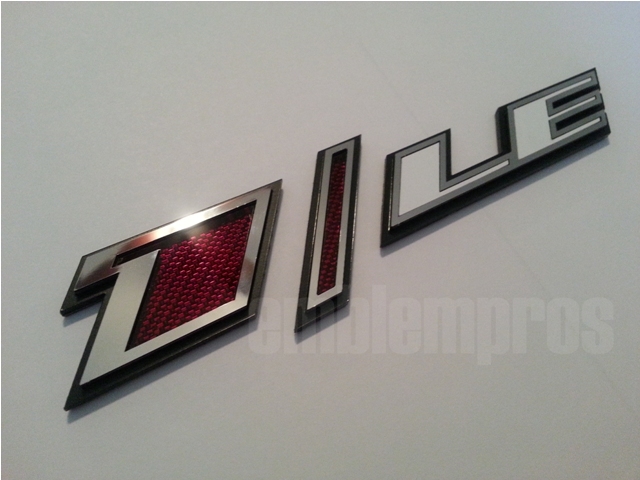 This is a premium-built, genuine GM Licensed 1LE emblem for your 5th Gen Camaro modeled after the new 5th Generation Z28 emblem. This is a multi-piece design that is custom cut, and assembled to the way you want it made. We combine several different options for you including silver mirror stainless steel, black mirror stainless steel (our Onyx Series), mirror acrylics (with or without reverse patterned engravings), and solid colored UV-rated plastics. 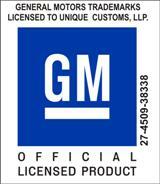 With this emblem, you don't have to worry about quality issues such as peeling enamel paint, or chipping chrome plating. Simply stated, you are getting the best materials available for the purpose of decorating your 1LE. The dimensions are approximately 6.5" wide with the slash depending on spacing. The slash is 1.55" tall, and the 1 is 1.16" tall. 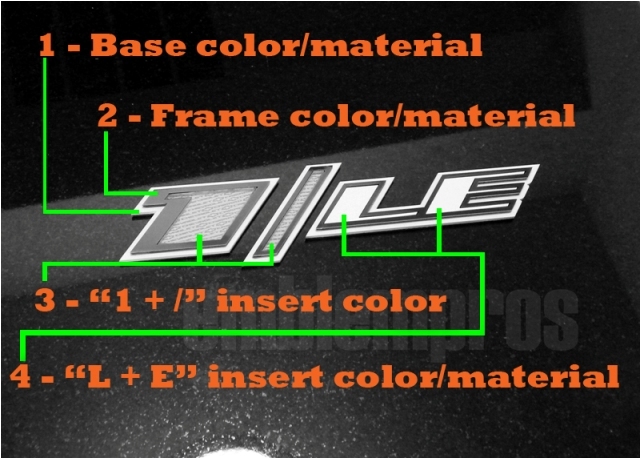 3: This is the color of the inserts in the "1" and the "/". These inserts are cut from mirror acrylic, and have the option to be reverse engraved with patterns. These inserts will be slightly recessed from the frames for depth, and a more professional look. Choose your selection in the field below that prompts "Select Insert Option for 1 and Slash" - again, the slash is an add-on option. If you opt to not purchase the slash, this option only pertains to the insert choice for the "1". 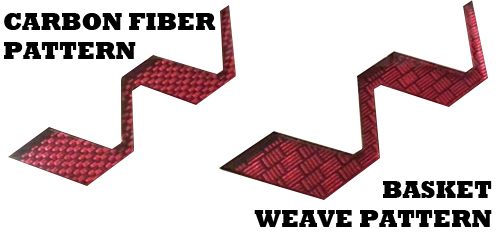 4: This is the color / material for the center sections of the "L" and "E". You can select mirror stainless steel, black mirror stainless steel (ONYX), or any color of our UV-rated plastics. Choose your selection in the field below that prompts "Select Insert Option for L and E".